Chris Young will play for a cause at an upcoming show at Joe’s Bar. The singer, whose “The Man I Want to Be” album helped garner him a 2010 CMA New Artist nomination, will take the stage at Joe’s Oct. 15 for the Chris Young Benefit Concert for Friends of Fisher House. Five dollars of the $20 ticket cost will be donated to Friends of Fisher House-Illinois, a non-profit organization assisting with support of Illinois’ first and only Fisher House. 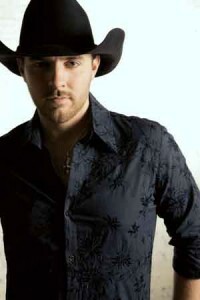 Young, who won season four of Nashville Star, hit the country scene hard when his self-titled RCA Records debut made him country’s best-selling new male artist of 2006 and earned him a nod in the Academy of Country Music’s Top New Male Vocalist category early on. Known for hits like “Gettin’ You Home” and “The Man I Want to Be,” Young is sure to impress. Friends of Fisher House-Illinois is dedicated to financial, volunteer and emotional support for Illinois Fisher Houses built by the Fisher House Foundation mission to support America-s military in their time of need. These “homes away from home” enable family members to be close to a loved one at the most stressful time, during hospitalization for an illness, disease or injury. Before Young takes the stage, Craig Campbell will kick off the night at 8:30 p.m. Young will take the stage at 10 p.m. Oct. 15 at Joe’s, 940 W. Weed St. Tickets are available at joesbar.com or ticketweb.com. Doors open at 7 p.m.